Begin by putting a pot of water on the stove to boil. Cube the pancetta to your desired size. 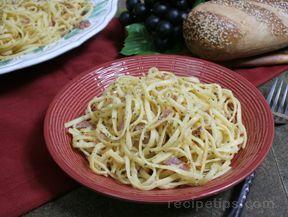 Pancetta is an Italian bacon that is available at most supermarkets or delis. Request for it to be sliced in 1/4 inch slices. When cutting it at home, I prefer smaller cubes, approximately 1/4 inch cubes. Heat a large saut pan on medium heat, add 1 tablespoon of olive oil, and place the pancetta in the pan. Brown the pancetta until crispy. Meanwhile, chop the onion and garlic. Remove pancetta from the pan and add the onion only. You may need to add some additional olive oil, about 1/2 a tablespoon. Add salt and pepper and allow the onion to cook, about 5 minutes or until it is translucent. Next, add the chopped garlic and allow to cook for about 2 minutes. Then, add the capers and let all 3 ingredients cook again for about 3 minutes. Add the 1/4 cup red wine to deglaze the pan and allow the wine about 1 minute for the alcohol to burn off, then add the can of tomatoes and 1/2 tablespoon of Herbs de Provence. Stir, add back the cooked pancetta, and allow to cook while your pasta finishes cooking. Once the pasta has cooked to your liking, using tongs, pull the pasta from the pasta water and add it directly to the saut pan (do not drain the pasta into a colander). Stir in the pasta and mix it with the sauce. This will allow the sauce and pasta to mix and the pasta to soak up the sauce. 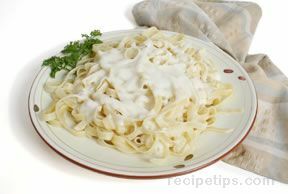 If the sauce is a bit dry, you can add about a 1/4 cup of pasta water from the pasta pot, this step is recommended. 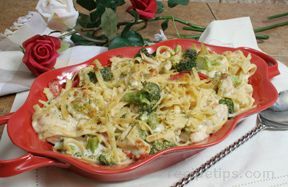 Finally, turn off the heat on the pasta and add the grated cheese directly onto the pasta in the pan. Mix well and serve hot from the pan. Some cheese may be reserved for extra service at the table. Message: The combination of amazing flavors in this dish are sure to make you feel right at home.